Keep those unwanted guests, dirt and moisture, off the invite list by using a Needle Rib™ wiper/scraper mats. 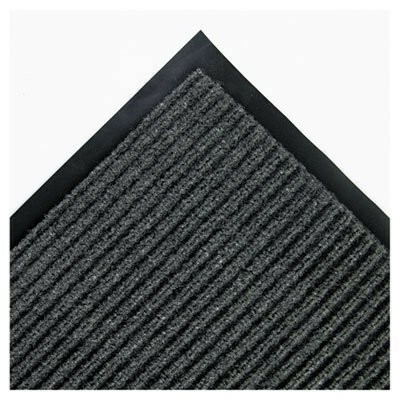 Rugged grooves and ribbed polypropylene needle fibers trap and hide dirt before it enters your building or office. Beveled edges reduce the risk of tripping, while a vinyl backing helps keep mat in place. Wear-resistant, color-fast design for light- to medium-traffic areas. For indoor use. Mat Type: Wiper Mat; Application: Indoor; Material(s): Polypropylene; Backing Material: Vinyl. This is a review for the Gray 36 x 120 Needle Rib Wipe & Scrape Mat.